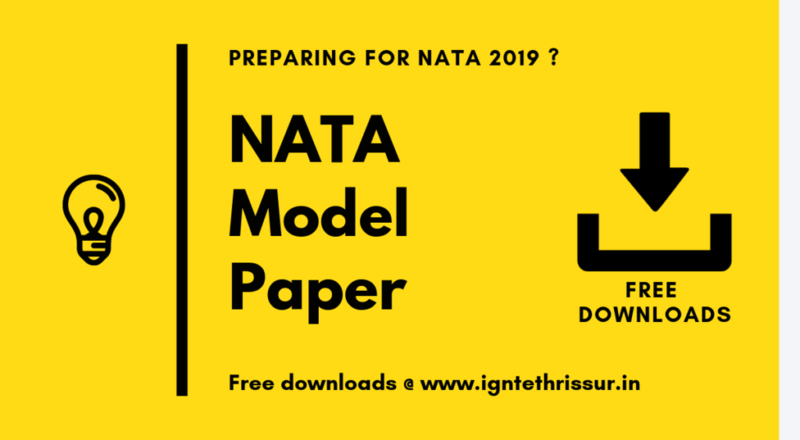 If you are planning for taking NATA exam then this will surely interest you. NATA exam gives you direct entry to pursue a career in architecture. Your first concern for every exam should be time management. You have to attempt a variety of questions within a time limit. Only practice can make you perfect. So find time to answer as many as model question papers you can handle on each day before well in advance. You can freely assess the model questions for Mathematics and Aptitude from our website. 50 important questions for Aptitude and 30 for Mathematics are provided with. Our experienced faculties have sorted the important and frequently asked questions. A regular mock test will help you with a self-assessment. And you can then concentrate on your weaker sessions. You can make use of mock test series from our online application. Ignite’s NATA app is equipped with some exciting attributes like providing a methodology for the preparation of Aptitude test and Maths. It covers almost every question that can be asked in NATA exam. We have a team of experts who are assigned with the task of frequent updations of questions/answers. To ensure the accuracy of the content, everything is monitored and done with the expert guidance of IIT and CEPT Alumni. The number of papers allotted for each test varies and there will be time scheduled for each test. NATA mock test has 2 papers, JEE has 1, Aptitude has 3 test and that of Maths mock test has 21 tests. After attempting the test you can make an analysis about what all tests you have completed and which test you have been missed. The application is also updated with the latest news regarding the exam including the important dates and changes in the syllabus. You have the facility for marking important topics with the bookmarks head. You will be also provided with a useful online study material that you can access at any time. The study material may be in the form of a document or a video. And those are prepared by expert faculties of Ignite. The test paper includes previous year questions, sample questions, and mock test papers. Every question is taken with an efficient ranking over the importance and priority in the syllabus. 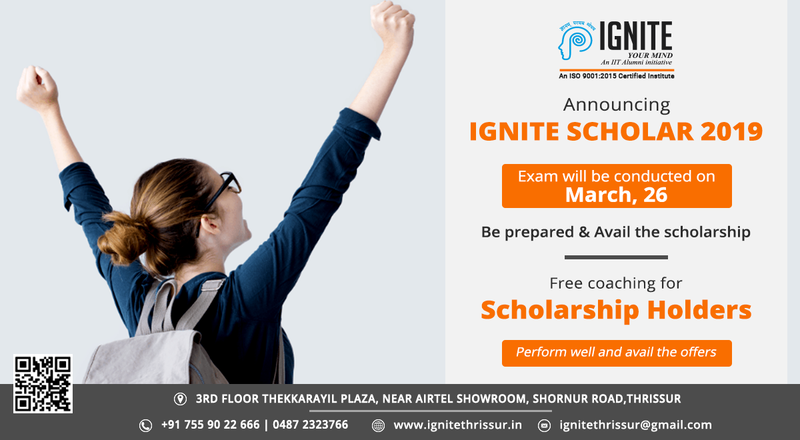 Ignite is a pioneer institute providing coaching in Thrissur. Ours is an initiative by IIT alumni. We provide training for competitive exams for students from schools to postgraduate programs. Prepare with as much as previous question papers available. Do you think you need help? Feel free to ring us or our app will assist you. Buy the test series only after taking the mock test. You are free to attempt the demo test and if you feel useful then buy the test series as you want.